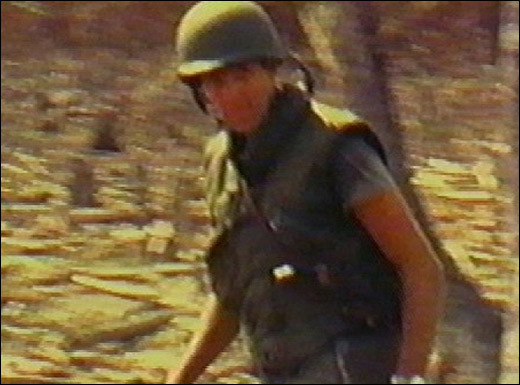 The official convention video introducing John Kerry tonight, directed by Steven Spielberg protégé James Moll, incorporates homemade film footage shot by Kerry in Vietnam. Entering controversy, director Moll explains how the bullets in the water were not from the actual event. Moll mixes in the homemade Kerry film with stirring strings and a french horn soundtrack. Moll is said to manipulate the speed of some of the film. One moving scene shows Kerry in slow motion, in full gear, walking with his gun through the paddies. Kerry's homemade films are at the center of a growing controversy in Boston. A new bombshell book written by the man who took over John Kerry's Swift Boat charges: Kerry reenacted combat scenes for film while in Vietnam! "Kerry carried a home movie camera to record his exploits for later viewing," charges a naval officer in the upcoming book UNFIT FOR COMMAND.